Who knew this collaboration would continue on? I had it in my mind that it would be a special exclusive one time deal. Perhaps that was the intent, and the shoes sold to well to pass up on continuing production. It’s a great collab especially for the fans of Rick who can’t afford or cat justify spending $1000+ on a sneaker from him. So this paring brings down the price point by $300-400. I love these shoes for what they are; the color, design, price point. I say that to say that I probably wouldn’t wear them not as I’m not attracted to the shoe, I just don’t think they fit well with my wardrobe this is my problem! I threw out all t-shirts after I graduation from college. In a way I wanted that it forced me to stop throwing on T-shirts whenever I felt like being lazy, but then on the days that call for a T-shirt I’m like struggling to find one. Two different color ways this time around which one is your favorite? Maybe it’s just me, and I’m not paying attention the way I should be or maybe I am paying attention, and noticing how Rick Owens is starting to experiment with more color. Mainly within his shoes, and his last menswear collection offered us a few more variations as well. Are you here for these sneakers? Do you already own a pair? 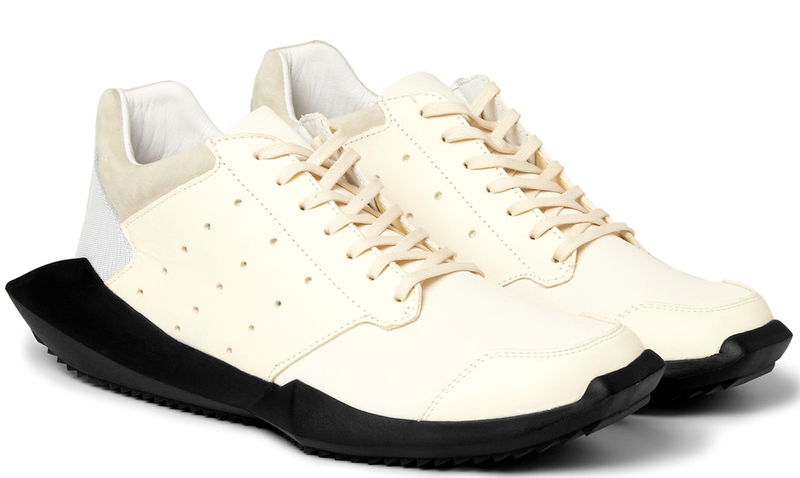 Or are you just an avid Rick Owens fan, and he can do no wrong. I’m still waiting on the day I can go and drop $1300 on a pair of his sneakers, and smile about it when rent is due! ← Do You Make Up?